We provide both close-up, personal class encounters as well as displays for larger groups. Not only do our displays make for a great extra-curricular activity but they are informative and can be structured for fun and factual learning on a range of topics relating to birds of prey, including; Geography, History, Biology etc. Experiences are adapted in order to captivate the interest of all ages and all are encouraged to join in with a variety of activities so that they can enjoy interacting with the birds, ensuring an exciting and memorable time. Our class displays are available as 1 hour sessions for up to 30 students (with some leeway). These smaller groups allow for a more interactive session, giving ample opportunity for everyone to handle a bird or join in with the experience in some way. We suggest that these displays are done inside, for example in the school hall, so the time can be enjoyed without having to worry about the weather. All displays can be performed for several classes throughout the day. These are structured purely for the enjoyment of the participants. 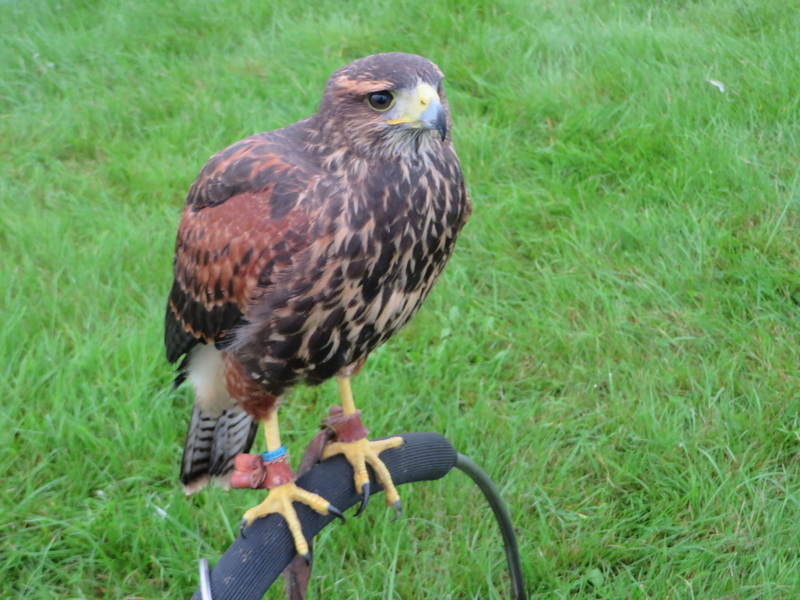 The team can provide an interesting and fun display in which the pupils have opportunities to get a close look at our owls, hold the birds themselves and join in with activities such as the “Bunny Chase” with our young Harris hawk. This is all done whilst giving an informative talk on the world of falconry and the natural world around them. These experiences can also be done inside the classroom. Here pupils will get more of an opportunity to get a personal experience with the birds whilst still enjoying a fun, interactive and informative talk. We are also able to modify classroom experiences in order to give a fun and exciting lesson on different topics including: Biology, History, Geography and Art. All lessons include the presence and interaction with the birds. Sessions are adaptable to participants' age and current topics of study. Most classes will be supplied with handouts that include information and activities for during the session, which they are welcome to keep and take home. We try to ensure that everyone is involved and learns something new during the session (including the teachers). Those who do not wish to partake or answer questions will be encouraged but of course no-one has to do anything they don’t want to. After-all, our main goal is that the pupils enjoy themselves and have a great experience. Preferably done outside during good weather (but can be done inside providing there is enough room to move around the group), our large group and whole school displays consist of a static demonstration; a compilation of flights from our team of birds, some of which are British and others from across the globe. 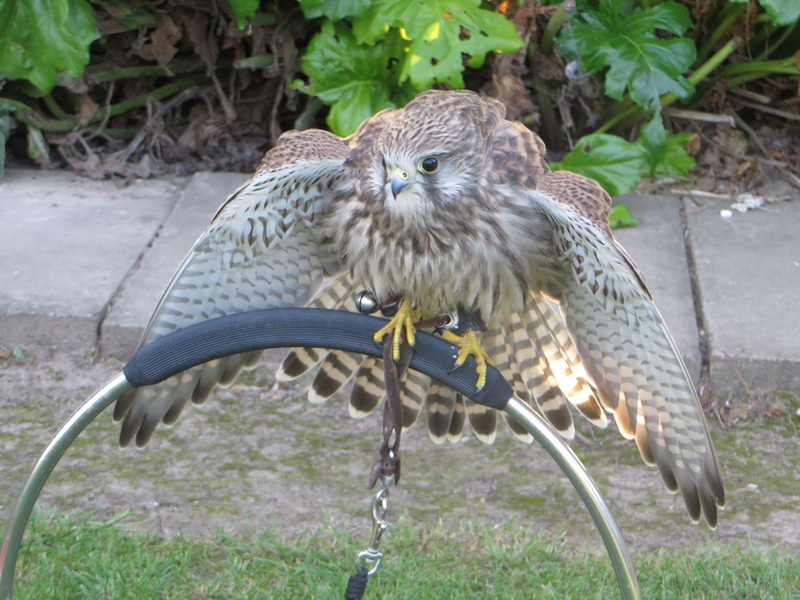 This display is coupled with an interesting, factual talk on each of the birds and the sport of falconry. During the performance participants from the audience are invited to take part, handling and flying the birds themselves as well as joining in with other activities. Displays usually last about an hour. Unfortunately with larger numbers, unlike the Class Displays, we cannot promise that everyone will have a turn in participating personally, so instead we try to incorporate other ways that everyone can be involved. One of such ways is flying our African Spotted owl over the heads of the group, taking the bird closer to the pupils. For an extra fee the team will be available for handling experiences throughout the whole day. This gives time for smaller groups to come and meet the birds more personally after the display. Again depending on numbers and time, this may mean not everyone will get to handle the birds but we do our best to ensure that everyone has a chance to get a close experience with the birds, ask questions, etc.